Police in the UK have arrested six teenagers for allegedly employing the 'Lizard Stresser' against at least three major corporate websites. As the name implies, the service, which uses a network of infected computers to launch DDoS attacks, was created by the notorious collective that calls itself the Lizard Squad. Bloomberg reports that the six, all males aged 15 to 18, were not actually members of Lizard Squad, but allegedly made use of the service to cause grief. The UK's National Crime Agency did not say which companies were targeted by the attacks, which occurred between August 24 and 27, nor how successful they were, but according to Bloomberg an online database indicates that the lads directed their efforts toward Amazon, Sony, and Microsoft. “By paying a comparatively small fee, tools like Lizard Stresser can cripple businesses financially and deprive people of access to important information and public services," Tony Adams, head of investigations at the NCA’s cybercrime unit, told the publication. 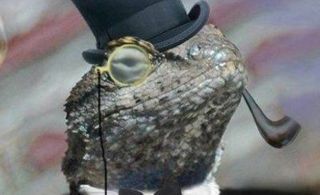 Lizard Squad came to prominence last year following a series of attacks against sites and services including League of Legends, Battle.net, and Sony Online Entertainment. One of its members, 17-year-old Julius Kivimaki, was arrested last for his role in similar attacks, and is accused of using a bomb threat to divert a plane carrying John Smedley, then CEO of Sony Online Entertainment. Smedley's less-than-happy reaction to news that Kivimaki would not face jail time for his crimes sparked a new round of DDoS attacks targeting SOE's successor company, Daybreak Game Company.